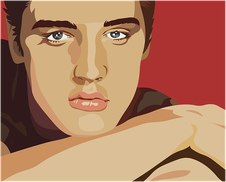 Active English: CREATIVE LEARNING WITH ELVIS - Vivre l'anglais avec Mira. 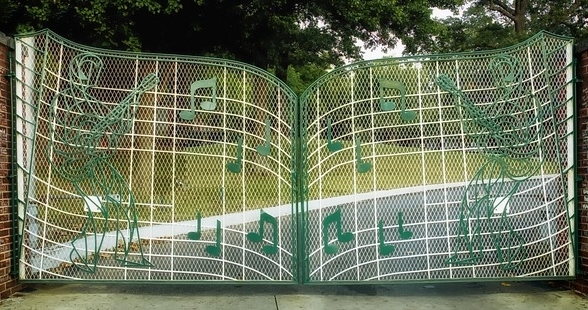 This summer marked the 40th anniversary of Elvis Presley's death. The King of Rock-and-Roll is still alive through his songs, and one of them perfectly fits my learners' needs helping them improve both their listening and speaking skills. a stimulating TOPIC - challenging TASKS - supportive TOOLS. It's also in line with the MULTISENSORY LEARNING method associating the audio and visual supports to gestures for an enhanced learning experience, which I apply in all my workshops. Step 1: Getting in the mood . This is the creative introductory activity. Each student team has a set of cards with words, selected from the song lyrics. Their task is to use all those words and make up the mini-stories of what they think the song is about. At this stage, the song title and the singer's name are kept secret! Early in the morning a man opened his mailbox and found a letter posted by an unknown sender. Quickly, he went to the back of his house where he saw a man with a big sack and a bloody hand. "What are you doing here ?" he said. Then they quarelled until the intruder said he was sorry because he had come to the wrong house. 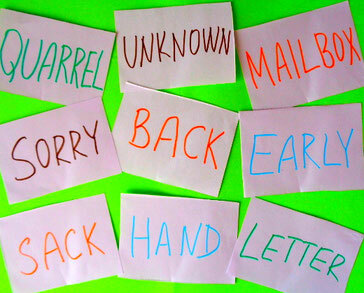 Students listen to the song while having the same set of word cards spread on the desk in front of them. When they think they hear one of the words, they touch the word card with their hand. This stage can also have a competitive twist, as the student who touches or taps the word card as first wins one point. It's definitely a very popular option among my students, independently of their age! Now, as the learners got used to the singer's accent, they are ready for their active listening task. They fill in the blanks while the song is played the necessary number of times. The focus is usually on some grammar point or lexical area - here it's obviously irregular verbs and comparison between the past, present and future. 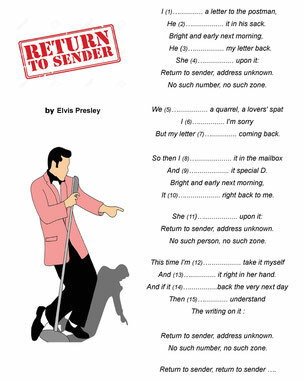 To check the students' understanding, after answering some questions, we recap the story told in the song by putting the cut-out lyrics lines in order or through a running dictation. To wrap the lesson up, we discuss and compare the learners' hypotheses from Step 1 with the song lyrics. And, why not vote on which group has come the closest to Elvis's story or whose version is the best? This makes an excellent final touch valorising their productions. Teenage students often like to transform their stories into colourful posters and have them displayed in the classroom. and with one question for homework: WHAT HAPPENS NEXT? Using the song lyrics, they imagine how it all ended. We love these open-ended songs! They help us learn English creatively by opening the door to the fantasy world.